No matter who you are getting a piece on encouragement is always great. Often it's the critics that speak up and others stay silent. 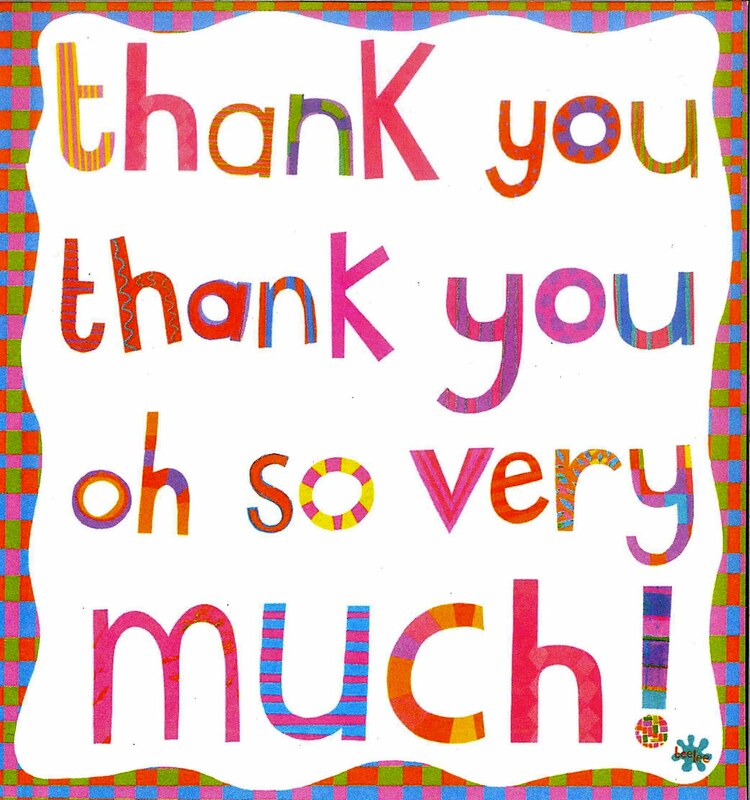 So today receiving the card below made my day. It also confirms to me that church leaders need to be honest, open and transparent about their weaknesses as well as their strengths to their congregation. 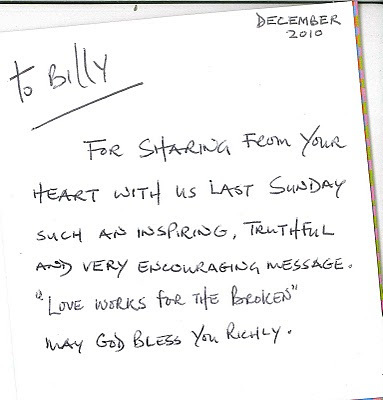 I've probably had more feedback from my message "LoveWorks for the Broken" than any I have preached at MKCC. 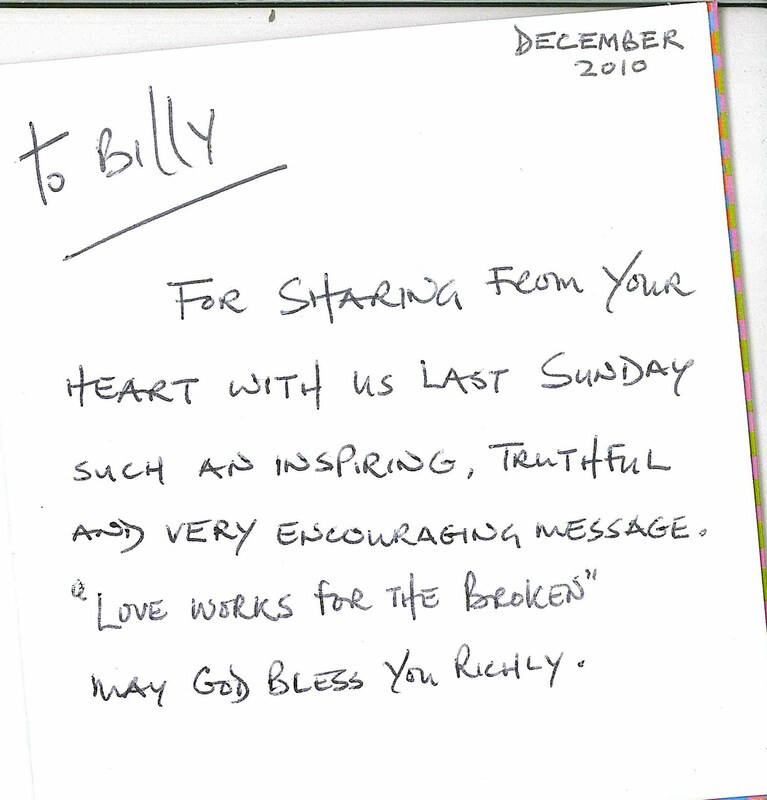 Great word Billy - amazing how infectious a critical word can be - and you only need one! But how hard it is sometimes to recieved a word of encouragement - you know - "Am I allowed to feel good about myself??" Thanks for an amazing word mate! Merry Christmas and a Prosperous New Year! Yep, I'd really like to echo the thanks from Tom for sharing and inspiring.